Cable vs. Streaming: Which Makes the Most Sense For You? In-home entertainment has come a long way from the days of "rabbit ears" and a handful of channels. Between cable, satellite, DVDs, DVRs, streaming and on-demand, you can choose your content as well as when you want to watch it. The number of different platforms has created fierce competition for viewers, resulting in higher-quality product and flexible pricing plans. Cable, which was once cutting-edge technology, is now considered conventional while streaming services have become state-of-the-art. Which option makes more sense for your Springs Apartments home? Here are some pros and cons to consider that will help the picture become clearer. With a menu of 200+ channels that grows all the time, cable is still the clear winner here. If your viewing is limited to a few specific categories or you're not a channel-surfer, streaming would probably be the way to go. Major networks such as CBS and HBO have recently instituted streaming services and others will undoubtedly follow. Sports content remains underrepresented on streaming platforms. If you're a die-hard fan of a particular team or you can't live without Sports Center, you're better off with cable. Here is an area where streaming has the edge. Cable companies bundle their channels in packages so you're forced to take ones you don't want to get ones that you do. Streaming gives you more flexibility to customize your line-up. You also don't have to deal with cable's notorious termination fees when you want to make changes. Cable offers a more consistently reliable viewing experience with few interruptions. Streaming is only as good as your Wi-Fi connection, so if it goes in and out or loses power altogether, your screen goes dark. Social media is filled with horror stories from customers who have struggled with their cable providers' customer service. That being said, there is still something of an advantage in that you have a single company to deal with. If you run into problems with a streaming platform the issue could be with your Internet provider, the streaming service, your TV or device, or any combination of these. Here is a checklist of some final steps to take before making your final decision. Make a list of channels and content that you simply can't live without and check their availability on both platforms. If you move from cable to streaming, don't jump in with both feet. Disconnecting and reconnecting cable are inconvenient and expensive procedures. Take one or two streaming services for a test run to see if you're a "match". Some companies like Netflix will even give you one month free to start. Sometimes the best solution incorporates both sides. Contact your cable company and ask about options for downgrading your service, then supplement it with a streaming service. 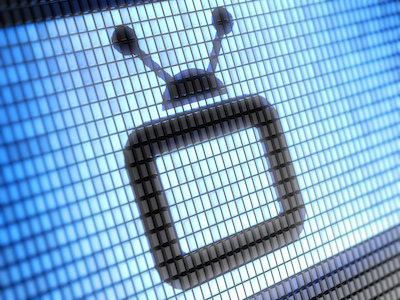 Are you faithful to cable or have you made the jump to streaming? Share your experiences in the comments!